We are engaged, passionate, and constantly working towards providing innovative approaches to logistical challenges. Come, grow with us. We strive to be an industry leader in sustainability initiatives. Leverage upon our global reach to cover all the major economies of the world. 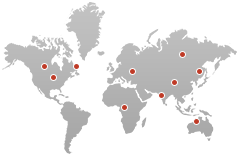 Explore Capricorn’s extended worldwide network.